All tours are free. Donations to the Heritage House are appreciated and contribute to the upkeep of the facility. 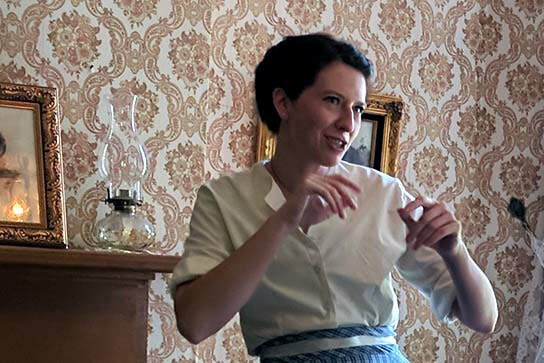 Informative and entertaining best describes our Guided Tours of the Heritage House. An abundance of factual history, a pleasing portion of "women's first" and a touch of trivia fill a 30-40 minute presentation. Each and every room complete with many original furnishings tells a story. 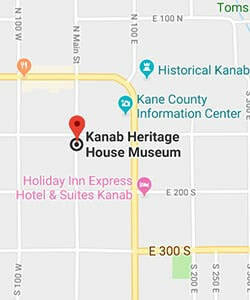 Historically, your time at Kanab's Heritage House Museum examining our 'Redbrick & Gingerbread' home is time well spent. Our guided tours are offered every hour, on the hour. ​*Groups of more than fifteen people must schedule their tour in advance. We know your time in Kanab, Utah may be limited. So what should you do if your schedule has a morning or evening "opening" and the Heritage House Museum OPEN hours just don't coincide? Or what if you visit during winter when we have limited open hours? We'll try our best NOT to disappoint. Send an email to ebentley@kanab.utah.gov and we will schedule you a private tour. Private tours can also be arranged for those with accessibility needs. No group is too small! It's the way we do things in Kanab, Utah. We call it hospitality! We understand that your visit to the Heritage House might be unplanned. So if you stop by and we are closed, don't despair - we have a plan! We left you a supply of "self-guided tour" tri-fold brochures on the back porch. Look for them near the rear door (on the left coming up the steps) inside an acrylic holder. And if by chance, that container is empty then just click here to download the digital version of the brochure. The "self-guided tour" will guide you on a walk around to home and gardens. Enjoy! Please see our hours of operation below. 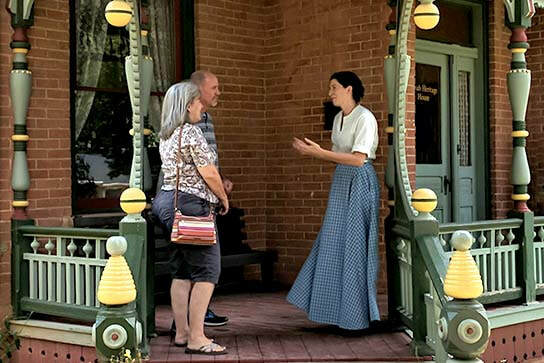 ​"We had a delightful time touring the Heritage House. Our tour guide was wonderful, and very knowledgeable about the history of Kanab and the house itself. You are able to view the entire house, including the basement and the attic. 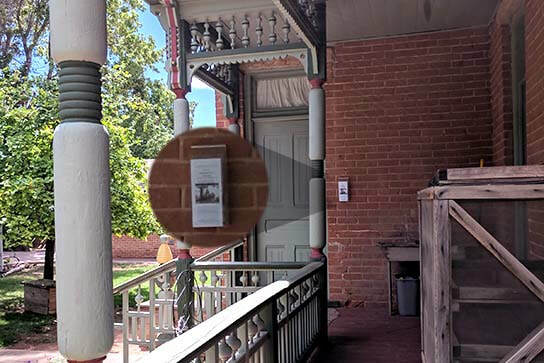 We've been on numerous tours of historical homes throughout the US, and this was one of the best."